Remote work is more popular than ever. Software developers often work with clients around the world, while at the same time, a growing number of large companies are embracing remote work. Countless studies show that remote workers are more productive. Not only that, but companies that allow remote working – whether that is only some of the time or going ‘all in’ on the idea, are saving a fortune in real estate. Also known as telecommuting, this operating model gives employees the freedom to work from home, coffee shops, libraries, or co-working spaces. It is no surprise that the rise of freelancers and the “1099” or “gig economy” is taking place at the same time as massive investment in property startups such as WeWork. Co-working offices are opening across the world, from Bali to Baltimore, with millions of professionals – not just younger generations, as many surveys are finding – working from these spaces for most if not all of the time. Until the early 2000s, remote working in many sectors was neither typical nor desirable. Especially for professionals and what we now call ‘knowledge economy’ workers. Work happened at work. Home and coffee shops were for family and catching up with friends. Downtown urban cores – particularly in the U.S. and Canada – were ghost towns after work, until a trend of gentrification swept through these urban heartlands, with offices moving out of town and apartments moving in. Whether offices were in city and town centres or out in greener and more environmentally friendly office parks, work happened in an office (or retail centre, or factory). People didn’t want to be out of the office. Offices were – and still are – more than simply places at work. Careers are made or broken by who knows who; the game of office politics requires people being present, and you can’t be present when working from home. With the dawn of the mass consumer Internet era, businesses started to adapt. Professionals didn’t want to spend an hour or more every day commuting. Rapid, always connected, digital communication made it possible for those who weren’t in the office to be present. Remote work became possible for millions around the world. In less than a decade, we’ve gone from attitudes that weren’t favourable towards remote working, to a situation now where many companies offer it as a desirable perk, whenever possible. No sector encourages and supports remote workers more than digital and tech companies, with fierce competition for talent, and a global talent pool to call upon, the sector is at the forefront of embracing remote talent. Remote work comes in many forms, so before we explore the benefits and what this means for software developers – and those who employ or work with them to deliver technology projects – we need to look at the sliding scale of remote working. Depending on where a company draws its recruits from, managers may prefer that everyone works in the same office most of the time. Working in one place, together, still has many advantages. So getting everyone together, every week or most of the time, is still the norm in many companies and sectors. But there are many companies that also want to embrace the option of remote work. With the wide range of tools at our disposal, including of course email and messenger platforms, working from home or another location is easy to arrange. Even for companies concerned about security and the secure transmission of files and data, Virtual Private Networks (VPNs) can be set up, to make sure that employees aren’t sending anything sensitive across an insecure network, especially if they’re using public Wi-Fi. Now here is where a company is truly starting to embrace the remote ideal. Maybe they still have an office of some description, or they rent desks in a co-working space when they want to get together, but in this scenario, remote is the default not the exception. When a company is working this way, more structure needs to be put in place. That is easier to achieve when you’ve got a team all working in the same country or at least the same time zone. You can set times for the team to meet, and follow a working pattern that is roughly the same as if everyone were in the same office, with the advantage that office costs should be lower and people can work where they want. 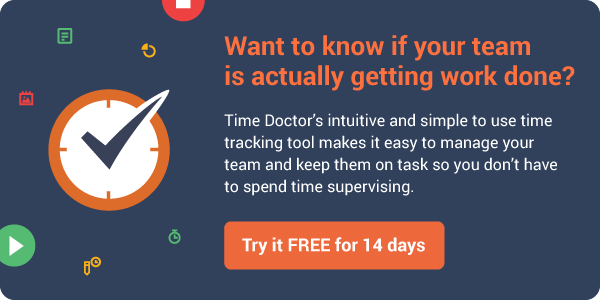 It also makes it possible that some team members could work at different times of the day, if companies want to embrace more flexibility, providing there is a great deal of trust and some overlap in the hours of the team when people are working together on the same projects. In this scenario – which admittedly is not something many companies embrace (although Buffer, the social media sharing firm, is probably the most famous) – everyone is remote, spread across the world, and some are even nomadic. There are, of course, numerous challenges associated with this setup. When a team or teams are spread across the world there aren’t going to be many overlaps, making the times when asynchronous vital to the smooth functioning of the organisation. Structures and processes need to be put in place to ensure the smooth handover of information between team members, and an enormous amount of trust needs to be placed on every hire. Companies need self-starters, those who are motivated to do the work whether or not they’re getting regular supervision, with strong bonds between team members forged through regular communication. To make this easier, companies can try and concentrate job functions and skills in the same time zones, e.g. customer service delivered in California and Australia (depending on where your customers are) and development concentrated in Central & Eastern Europe. This way, teams working on the same projects and problems can interact more easily. Of course, this model comes with many challenges and benefits. One of those is that, depending where your clients and customers are, there can be 24/7 engineering support and customer service, with the possibility of coverage in every timezone around the clock. One of the first benefits companies notice is a productivity increase. Although there are numerous advantages to working together in the same office, there are enough disadvantages to offset many of these. For many office-based workers, open plan spaces create a world of constant distractions, which for employees who need to concentrate, this can cause a serious impact on productivity. Noisy colleagues are only a small part of the culture of distraction that offices create. Impromptu meetings, chatting over coffee or the proverbial water cooler, and other distractions make achieving peak productivity almost impossible. Whereas 86% of remote workers, according to a SurePayroll survey, regularly “hit maximum productivity.” Managers also say that remote teams are more productive, increasing outputs for the whole company. Along with higher productivity, reduced costs are a serious advantage to many when considering the impact of remote work. In Middletown, Connecticut, Health insurer Aetna saved $78 million annually when they downsized office space in the city, thanks to the fact that they implemented a remote working policy, whereby 31% of staff now choose to work from home or other locations part or all of the time. American Express found the same policy created $10 million to $15 million in cost savings. Another company you probably couldn’t imagine adopting remote work policies, GlaxoSmithKline, also generated a huge cost saving when they moved out of 600,000 square foot of downtown office space. Thousands of staff now work remotely, with productivity and employee satisfaction higher than it was when remote working wasn’t allowed. Remote workers are more efficient, according to another survey. A ConnectSolutions report found that 30% can accomplish more in less time, while 24% feel they can do more in the same amount of time. So within an 8-hour day, many people feel they can get the same amount done that would take 10 or more hours in the office. That is a productivity increase that managers can take to the bank! Mental health and the overall wellbeing of employees is far more important than it was 5 or more years ago. As numerous studies have found, including one by PGI, 82% of telecommuters reported lower stress levels and 80% benefit from higher morale. Of course, remote workers aren’t and shouldn’t be out of sight out of mind. Remote workers still want to feel part of the team, and are still needed in key conversations and meetings. With the multitude of technology options available to those working remotely, such as video conferencing, Skype, Slack, Telegram and email, team members in different offices can work with colleagues and freelancers across the world, with the same convenience they would if a colleague was down the corridor. Remote work is the future. According to a World Economic Forum forecast of employment trends, it is “one of the biggest drivers of transformation” in workplaces around the world, with around 40% of full-time employees already used to some form of remote work/telecommuting in the US and Europe. Although many would assume that this only appeals to younger generations, Millenials in particular, older workers are in favour of remote working in much the same ways, for many of the same reasons. An AARP survey found that 74% of older want the option to work flexibly and at least 34% would like to work from home. From traditional industries, such as insurance and finance, to social media and web development, it’s clear that remote working is here to stay and almost certainly, become more popular and normal for more people. When you are looking for remote workers – whether those are employees or contractors, you need to look for certain traits and motivating factors, to know that they’re going to be a good fit for your company or project. What to look for in remote workers? What to look for in employees and contractors depends on your requirements and company culture, and of course the job or project spec. There are traits you should look for to make sure they’re a good fit. An obvious one, maybe. But someone who only thrives when given a lot of supervision and when in an office with others is not necessarily going to excel in a remote role. This doesn’t mean they’re going to ditch you to launch a startup, although that can and does happen when software engineers get the right opportunity or come up with a great idea. No, in this case, we mean they need to have an entrepreneurial spirit – motivated, disciplined and focused on the goal. Someone who only gives one or two word or sentence answers to questions is not necessarily going to be a great fit on a remote project. As a manager, you need people who are confident communicating what they mean and need. When teams are remote, those who communicate more than they need are preferable to those who aren’t eager to stay in contact. Buffer, known for having a fully remote and distributed team, prefers those who are talkative. Team members who talk/email/message about things other than work are a bonus too, especially when a team is remote. Although this might seem counter intuitive and unproductive, when a team isn’t in the same office together, you need to make sure there are some shared interests and topics that bond a team. When hiring a remote team, only hire those who you can trust will do the work. That might sound obvious, and you will soon see when the results come in, but there are a few in the world of remote work who will try and coast on the hard work of others. Watch out for those. 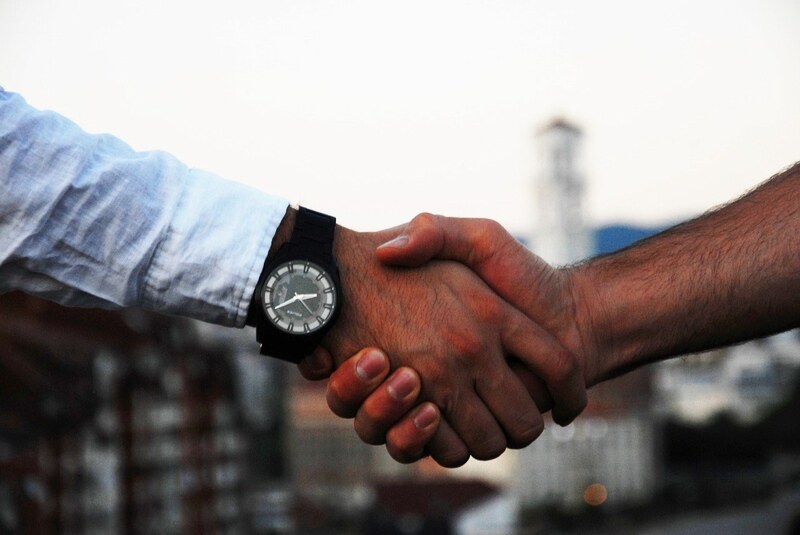 If in doubt, hire someone else, and always ask for references and guarantees. Again, this might seem counter intuitive; after all, why not just have an office? 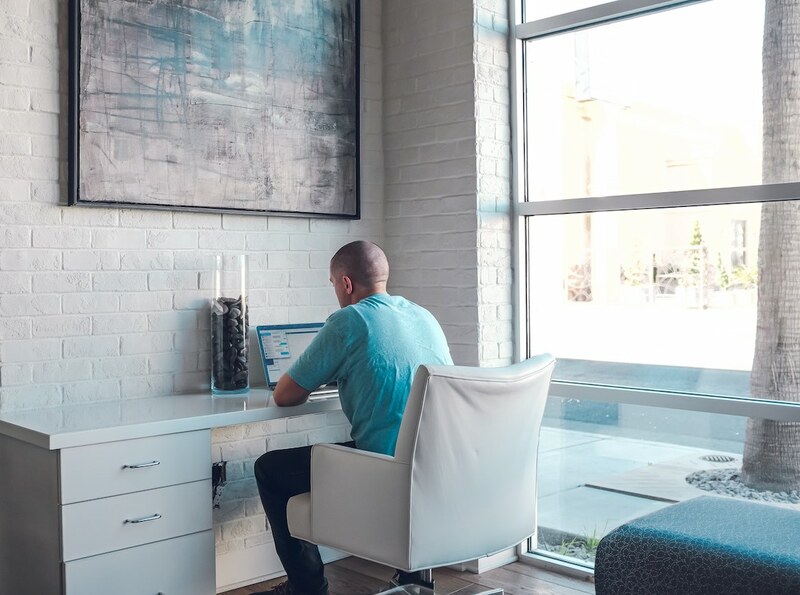 But remote workers are more productive when they have a dedicated space, such as a spare room or occasionally using a co-working office or favourite coffee shop. Remote workers who only work from a sofa, kitchen table or bed aren’t necessarily as productive, unless they’re very disciplined. As an employer or client, it’s important that you respect the boundaries a remote worker sets. In the same way that many companies are now resisting sending emails and messages outside of working hours, if a remote employee works fixed hours, make sure any messages sent outside of those hours are noted as not urgent (to be dealt with the next day). Now we’ve covered that, let’s take a look how remote working impacts web development and what this means for developers, software companies and the clients that work with them. How remote working impacts web development? When companies are thinking of hiring web developers, they have several options. You could recruit or expand an in-house team. Or work with a local firm, which if you are in a major metropolitan area in Europe or America, which has many advantages. However, on the other hand, the cost of such an investment might prove prohibitive. Especially if you are looking to have something more complex developed than basic WordPress template website. Remote working is very popular with web developers. Recruiting talent is a challenge in this sector. Developers with the right skills and experience are in demand. From well-funded startups to tech giants and tech-focused consultancies, everyone wants to recruit developers, which means they can command high salaries and expect a range of perks and benefits. This is one of the reasons small and medium businesses, and even large corporates, can struggle to recruit developers. One of the perks many developers want or even expect is the ability to work remotely. But in many cases, this is more than a simple perk. It is a necessity. To ensure web development companies can access the best talent for their clients, many have taken the step of looking beyond the local area. Remote working developers are put through the same rigorous tests, vetting and interview process as colleagues in the office. Or in some cases, some companies don’t have an office anymore: there are over 600 companies that have embraced a completely remote culture, either in the same country (and therefore timezone), or spread across the world. As numerous studies and surveys have found, remote developers are more productive, happier, more engaged and provide just as many – if not more – solutions for clients than those who all work in the same office. All of this means that companies hiring developers have just as much reason for confidence in the end-result as companies that only work with local suppliers, or recruit an in-house team. And of course, this comes with a massive advantage of the cost saving compared to either of those options. We can expect this trend to continue. More developers are going to work for companies remotely, and more businesses than ever are going to recruit – either as employees or in a freelance/contract capacity – developers in remote locations around the world. How to hire and work with a developer remotely? As a business, you need the right person for the job. As we are increasingly seeing, companies that rule out remote workers are cutting themselves off from a massive, motivated and productive talent base. But at the same time, you need to know your remote employees or freelancers are getting the job done. Trust is so important and admittedly, somewhat more difficult when you’re working one or more time zones away from those delivering a mission-critical project. One way to do that is through remote monitoring, providing that works for both you and the developer. Not everyone will agree, but many should be happy to maintain a transparent working relationship. One question you might ask, when going down this route, is whether or not to hire a freelancer or work with a developer in a firm; or a team of developers at the same firm? They may or may not be remote from one another, but they will be working remotely from yourself and your team, therefore making the remote workers. Development shops or firms are, generally speaking, more effective, productive and cost effective than freelancers. You can trust the fact that they’ve worked with enough clients to have a team of staff. Whereas freelancers are often one-man outfits that usually need to outsource aspects of the work to complete a project for a client, or you need to work with multiple freelancers; which often proves far from ideal. It is far easier and more cost effective to work with developers who are already part of a team. This way, you’ve got all the skills you need from the same service provider. Development companies often have developers with availability. It is rare for a company to be at 100% client capacity all of the time. Which is where a marketplace for hiring remote talent comes in. The platform takes care of the management – whereas you get the benefit of great web development talent and the security of a money-back guarantee for the entire duration of your contract. This way you make sure that you get what you want built without the stress and uncertainty of working with a freelancer, or the higher costs associated with recruiting someone in-house. 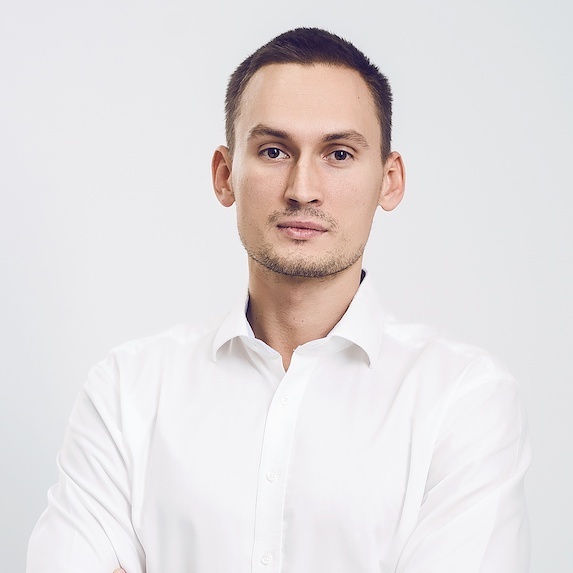 Anton Mishchenko is the CEO of YouTeam — a curated b2b tech talent marketplace that matches businesses with dedicated development teams from pre-vetted software outsourcing agencies. Anton’s areas of interest include digital marketing, tech entrepreneurship, and influencer blogging.